Ethereum Classic, an offshoot of Ethereum that continues to carry on with the Ethereum legacy blockchain has published its own version of the “declaration of independence” from Ethereum. In the document, Ethereum Classic which came into existence on July 20, 2016, following the implementation of Ethereum hard fork states its plans for the future and the principles to which it will adhere to. Ethereum Classic represents the community that objected Ethereum’s approach to handling things. Ethereum was forced to hard fork the blockchain in order to recover ETH that was siphoned off by an attacker. The attacker had taken advantage of a flaw in the code. However, this move was considered by the ETC community as censorship, fraud and third party interference. While Ethereum Classic recognizes the hard work and dedication of the Ethereum Foundation and its members in creating the Ethereum protocol, it also presents a list of grievances against the very people who created it. The ETC community believes that the ETH hard fork was implemented with the only intention of blacklisting and censoring normal transactions on the protocol. By doing so, they violated the very principles upon which the whole system was built. Being a decentralized platform, ETH is accused of not allowing the members to express their choice. This resulted in the collapse of democratic process, violating the immutable and fungible properties of the protocol. The lack of replay protection during the hard fork also resulted in huge losses for various community members. Ethereum Classic also downplays DAO, which was great on paper but riddled with problems and gross violations of the principles when implemented. Ethereum Classic owes to not commit the same mistakes as its counterpart. The “Codes of Principles” stated in the document lists 6 points to which the platform will adhere to. The platform will be completely decentralized without any possibility of downtime, censorship, fraud or third party interference. Ethereum Classic code is equivalent to the law. The sanctity of ledger and all the properties of the distributed ledger protocol will be held intact. 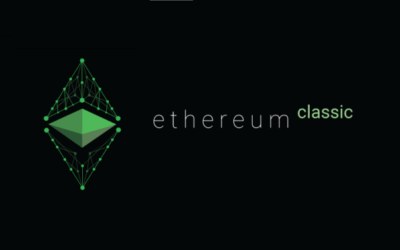 The option of forking the Ethereum Classic blockchain will be considered only after exhausting all other viable solutions. Anyone can fund internal project development. The funding can be in the form of any currency as long as the whole process is transparent, open and follows decentralized crowdfunding protocols. The platform can be used by anyone to create Dapp, hold crowd sales and create DAOs. Ethereum Classic states that it will continue to resist any attempts to centralize the decentralized protocol and governance structure. At the same time, the ETC community invites everyone to join the decentralized community. Since its introduction, Ethereum Classic has gained impressive traction, proving its critics wrong. Few members of the community who initially opposed ETC have now become part of the community, contributing to its further development.